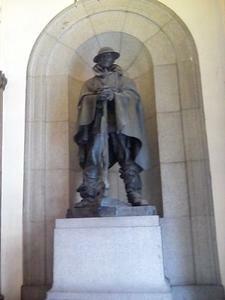 Serviceman figure in full battledress with cape holding rifle black metal set into a granite alcove on the Chorlton Street side of the porch. 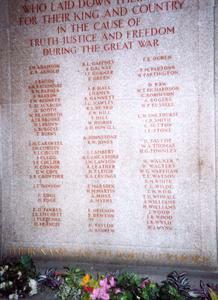 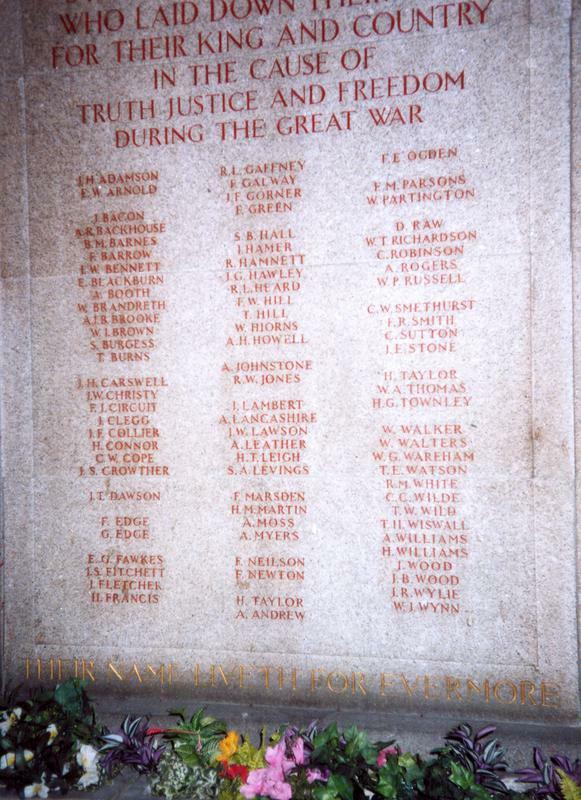 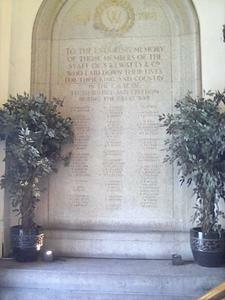 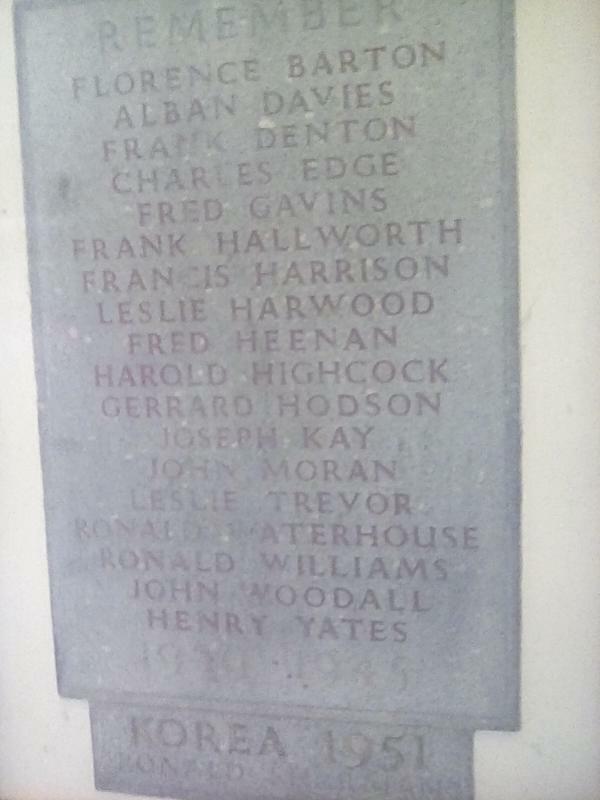 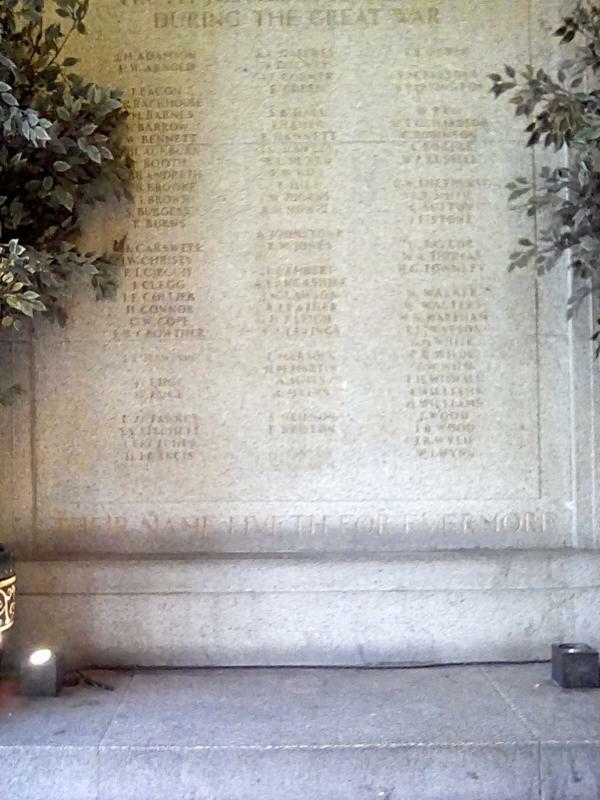 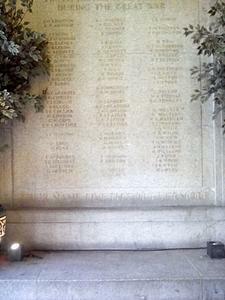 Dedicatory stone tablet with names on the Piccadilly (opposite) side of the porch. 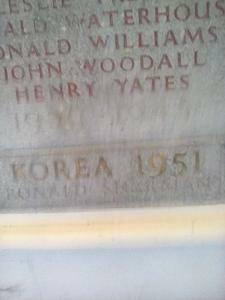 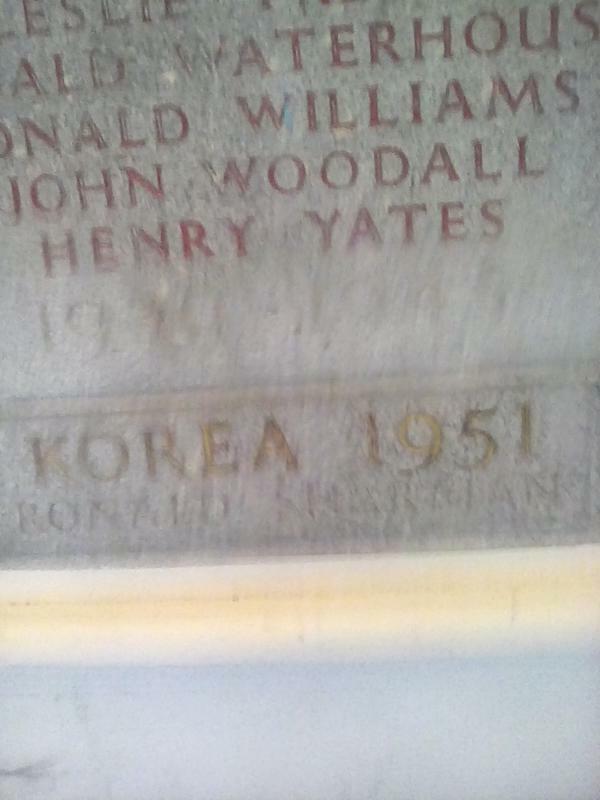 There is a separate bronze plaque for WW2 and Korea on a pillar on the street side of the porch (behind you as you step in), between the names tablet and the statue).